Row by Row starts June 21st. This year our row is an 18” square. 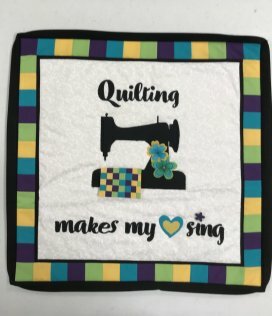 The theme is "Sew Musical". You can stop in and receive one free pattern until September 4. We will have finishing kits and a wall hanging kit available.